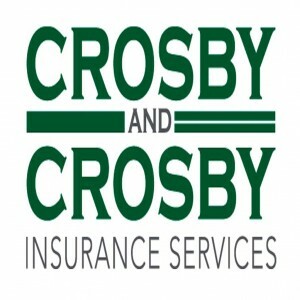 Crosby and Crosby has recently partnered with Core Health Insurance. Together we can offer a health plan that is guaranteed issue- no underwriting! Everyone age 18-65 automatically qualifies for coverage. No pre-existing conditions, no health questions to answer, no medical records. There are 4 plans to choose from and coverage is available for individuals, single parents with children, married couples, or the entire family. The coverage starts as low as $93.95 per month for individual coverage, $150.85 for a single parent and child(ren), $171.33 for a couple, and $242.99 for a family. The rates are not based on age or medical history. These plans include benefits for up to 12 doctor visits per year, hospital stays up to 31 days, a trip to the ER, and major medical procedures. For a more detailed list of benefits and options please contact us at 661-327-5531. Core Health Insurance is underwritten by the United States Fire Insurance Company and is rated A (Excellent) by AM Best. Crosby and Crosby can offer this guaranteed issue health policy in California, Idaho and Wisconsin. Call Crosby & Crosby Insurance Services today at 661-327-5531, visit us at 111 H Street or email us at jenni@crosbyandcrosby.com. Contact us today and you can be covered tomorrow!